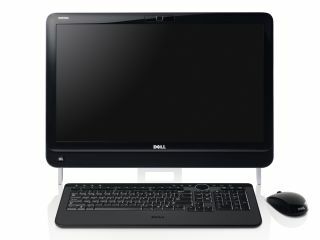 Dell's latest all-in-one PC, the Dell Inspiron One 2320, comes packed in to a slim, 23-inch display without scrimping on specs. Your processing options range from Intel i3 to i7 second gen Core i processors, with an option to include the Nvidia GeForce GT 525M discrete graphics chip too. The 23-inch WLED display comes in at Full HD resolution (1080p), and if you're feeling tactile, you can opt for the touchscreen model – if you're interested in upgrading to Windows 8 next year, that might be a smart move. Also crammed in behind the display is 4GB of DDR3 memory as standard, although you can go up to 8GB if you want the extra punch – storage-wise, you're looking at 500GB to 2TB, depending on how many notes you want to drop. Dell suggests that you can use the Inspiron One 2320 to finish you homework or keep track of household expenses, but we'd favour the multimedia options, which include Dell Stage which offers easy tiled access to files and music, videos, favoured webpages and the like. You can also opt for a DVD+ and Blu-ray combo, to take advantage of the high res screen; your call. If the Inspiron One 2320 has you feeling inspired, you can pick it up from today with UK pricing starting at £699.